The day after our arrival into San Jose we bought a car. We used the same service that we did last year, PASS. http://wheelscr.com/car-buying-costa-rica-help/ I highly recommend Russ and his service. My husband and I are pretty familiar with San Jose and speak Spanish, but Russ makes the buying process so smooth that it makes it totally worth the $280. Last year we bought a car and then sold it at the end of our trip. It ended up being a lot cheaper in the long run. Hopefully reselling goes smoothly again this year. We decided to return to the same place in Costa Rica this winter. Since we had company up until the last minute of our departure it was a little chaotic trying to prep the house and pack. I used some plastic compression bags for the first time and was really happy with the result. They ended up saving a lot of space. It was quite comical when we packed all the bags and realized that Eloise had so much luggage. How can someone that small need so much! We flew on United and we have their credit card so we automatically get two free checked bags. We took a direct flight into San Jose from Washington, D.C. Dulles. It went really smoothly. We played with puddy, read some books, ate lunch, and then she napped in the Ergo carrier until we landed. Flying into San Jose with young children is so easy. There was a long line for immigration but the guards there look for families and pull them out to a much shorter line. So thoughtful. We then got a prearranged shuttle to our hotel in San Jose, Hyatt Pinares. It is not close to central San Jose, but it is a great spot for us because of the quality of hotel, enormous included breakfast, and pool. It is located in a shopping center so there are plenty of shops, restaurants, etc. Basically all we need to get us by for a few days of business in San Jose. We recently spent 10 days in NYC. We rented an apartment in the East Village. There are so many recommendations I can make, but I am just going to make a short list of highlights. A highly trusted place to rent a place that is totally kid friendly. Chinatown. There are so many different forms of entertainment in streets and shops of chinatown. My toddler was in wonder. We bought her new chopsticks, the ones made for kids, and then went to a delicious hand pulled noodle spot. See pic below for location info. Two gratitude stones made by Eloise. We had the toddlers collect the stones and then pick out a pre-cut paper heart to place on the stone. The adults pasted them on and then we let them dry as we collected more sticks for the fire. One of the girls got upset about something and we brought her the stone she had made. As soon as she had it in her hand she stopped crying. Wow! Talk about grounding 🙂 We all then talked about what we were thankful for while holding our stones. Some of the kids decided to make an extra stone for a parent that wasn’t with them – showing gratitude. The gratitude stone is a physical reminder to remember your blessings! There are many ways to use them. Pass a gratitude stone around the dinner table before eating. When holding the stone, you must share something or someone you feel thankful for. Thinking and talking about the good things in our life can calm down angry or sad feelings. Teach your child how to hold the stone in their hands and list everything they feel thankful for. Pass your child the gratitude stone and ask him, “What was the best part of your day?” Reply with your answer when he passes the stone back to you. Create extra stones and share them with the people you feel thankful for! Include a little note expressing your gratitude. An attitude of gratitude is contagious! Scatter gratitude stones around your community. and neighborhood to spread joy to others. The stone that Eloise decided to make for her dad. Then we went for a rain walk. When I was taking my permaculture course we had to go for walks in the rain to observe the water flow in a design. Rain walks are truly amazing! Yet it seems a little weird to say “oh boy! It’s raining, let’s go outside.” Trust me, your kids will love to be out in the rain. The rain makes everything shiny. Look at the ripples in the water when the rain hits its surface, do you see the bubbles? Can you find any mushrooms popping up saying thanks to the rain? Are there any new streams in driveways or paths? Do sticks, leaves, acorns, and other forest floor objects look and feel different? Today’s playgroup was all young toddlers. For older kids, it would be fun to test the ph of the rain that is falling. Is it more acidic than it should be? How does that affect the plants and animals? Tis the season for corn. After meeting around the fire for some rock painting, it was time for an activity. The oldest kid we had was four and this activity was a little advanced for him too, but the finished product was perfect for him and all the younger ones. 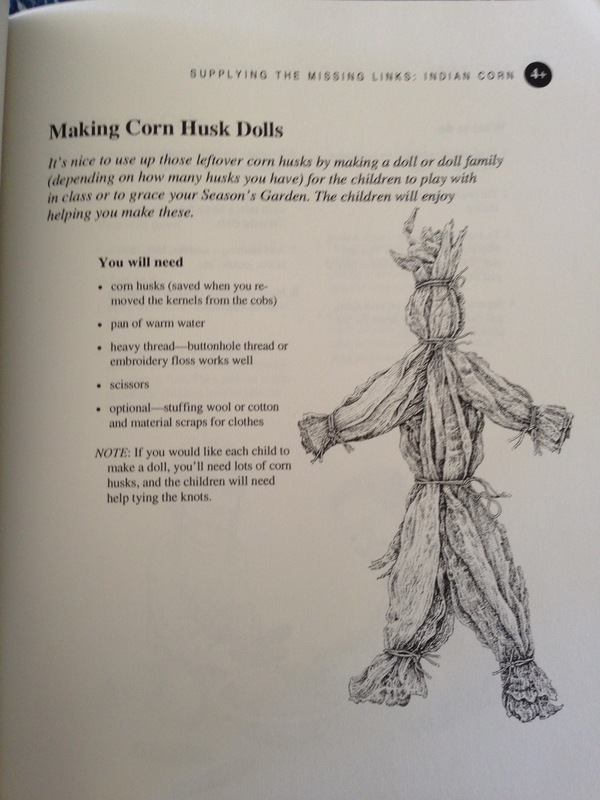 We made corn husk dolls. While the process was mostly me making them in front of the kids, I think it’s important for the kiddos to watch something being made. It required time and work versus just appearing into their lives. Yesterday we found a couple arrowheads on the paths in the woods so it was a really cool item to show everyone. It is amazing to think that there were people roaming these woods thousands of years ago. 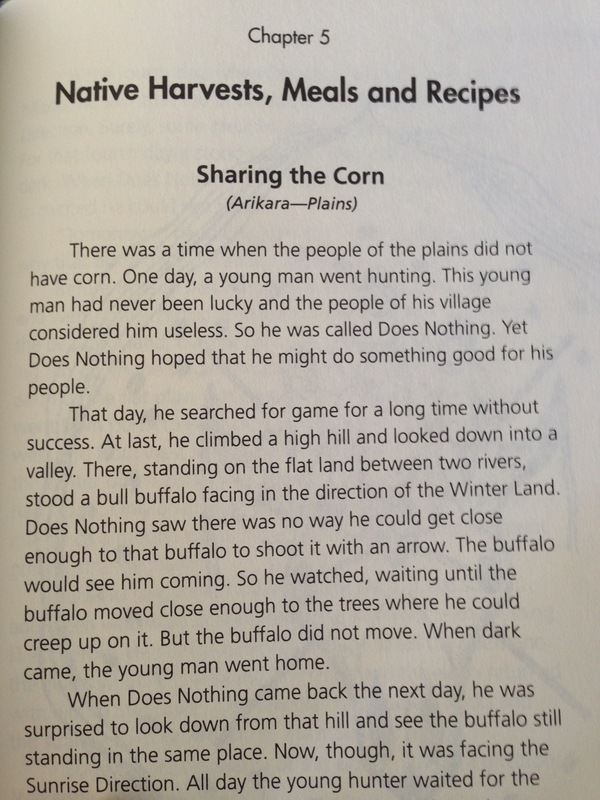 Later in the session I told the Native American story of Does Nothing, who finally did something by finding the corn plant and sharing it with all of the people. 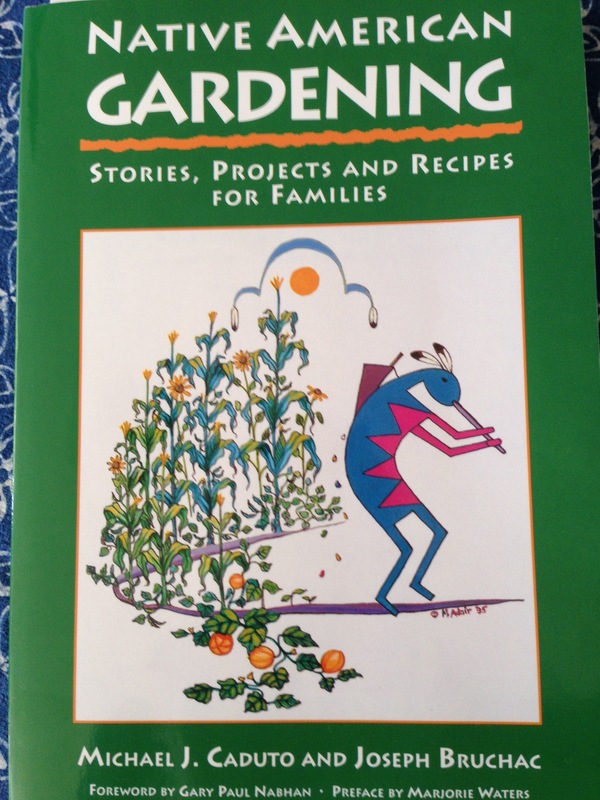 I got the story from a wonderful book about Native American gardening. It was a nice story to tell after we made the corn husk dolls. Our session ended with Hannah, another (awesome) mom, leading a song. The kids were jumping, clapping, touching their noses, and smiling big. Endorphin levels are running high today! Apple Ice Cream Cake, Bug Houses, and Check Dams: A play group in the woods. When the cooking was coming to an end, I pulled out some string and scissors. It was time to make some bug houses. 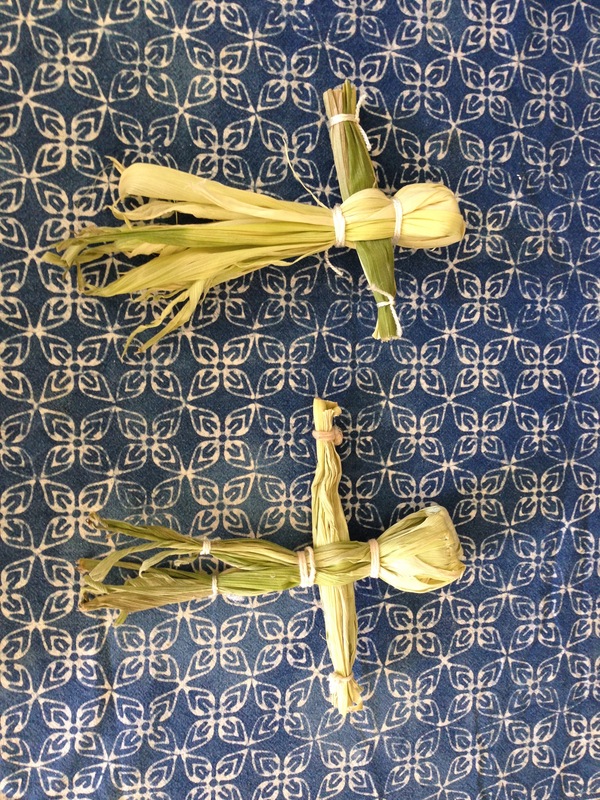 The kids collected big handfuls of sticks and then we wrapped them together with the yarn. They will take them home to place in special spots and see what kind of bugs will move into their houses. We had tons of yarn and Elsie decided that it was a good time for some finger weaving. What a skill! She very patiently taught Bodie to weave. Bodie, however, got distracted when the goat cheese and crackers came out. Moving on we went to explore the creek. We observed the bullfrog family -What do they eat? – The kids wanted to know. After discussing frog cuisine, the older kids decided to make more Cairns and then saw my check dam. They immediately went to work collecting leaves, sticks, rocks, etc. Bodie and Elsie worked together on carrying very large sticks to the dam. Busy as Beavers! It seemed like everyone enjoyed themselves while in the woods. The forest and natural surroundings can offer so much. When you are in the woods you feel different, relaxed maybe, but what can we bring out of the woods? Well there are so many options that can fit in our already existing routines that also cover a lot of school curriculum. Math – cooking in the kitchen requires counting, measuring, etc. You don’t have to make the sugar filled cake recipe above to have fun. Cairn building also uses math by selecting rocks that are certain shapes to build the towers. Art – We painted rocks, built Cairns, weaved with our fingers, observed natures artwork, etc. Science – What do bullfrogs eat? You could do some research on bullfrogs and their habitat. 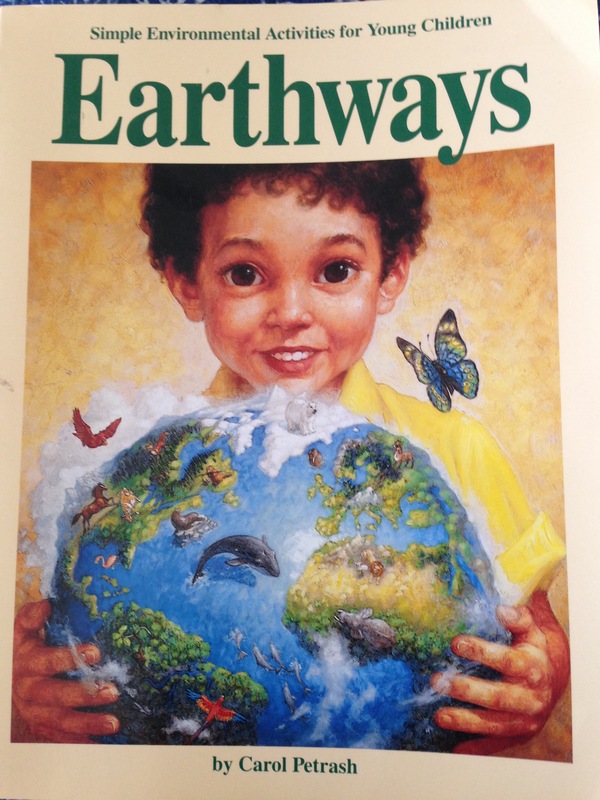 Books on bugs could maybe tell us more about what kind of bugs may want to live in our bug houses and then who will come to eat those bugs, etc. Why does the speed of water flow matter in Spruce Creek? History – Where do Cairns come from? What is the history of the beaver in the Eastern US? 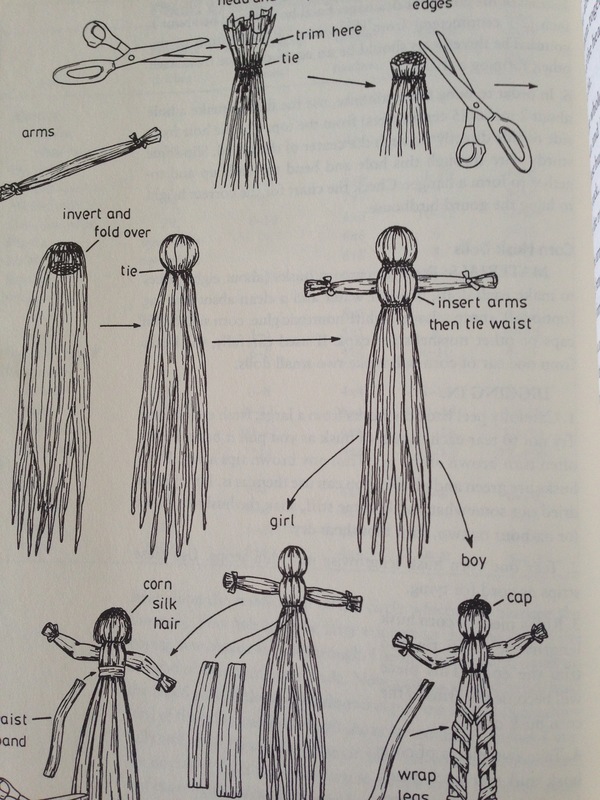 How long have people been weaving in Virginia? What materials did they use to weave? Engineering – What is a check dam? Why are they important? How do you build a successful check dam? World Views – Where else in the world bullfrogs live? Where does the word Cairn originate? Why are check dams important around the world? Where are other check dams located? These are only a small example of furthering our woodland experiences. I think that it would be great if the older kids could go to the library with one of the questions they asked in the woods. I believe that they will find what they are looking for and so much more. 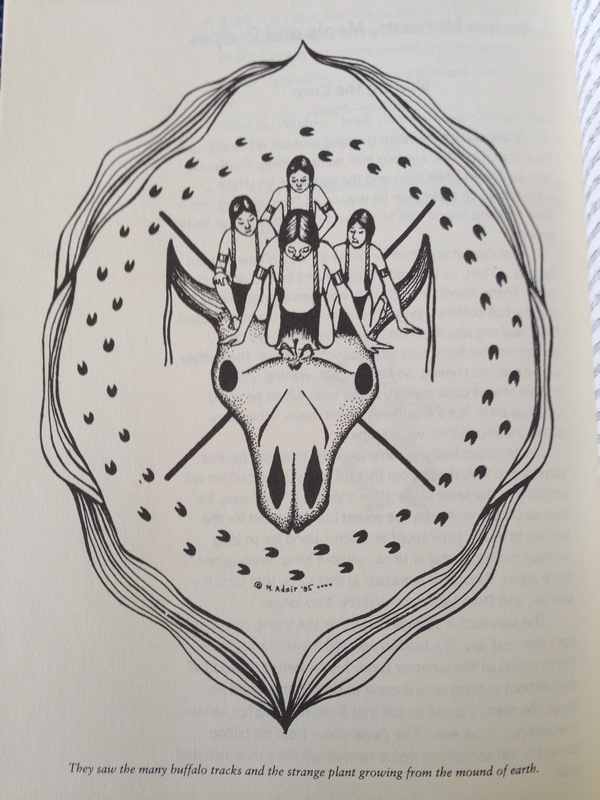 When they return to the woods they will have a deeper understanding and many more questions.